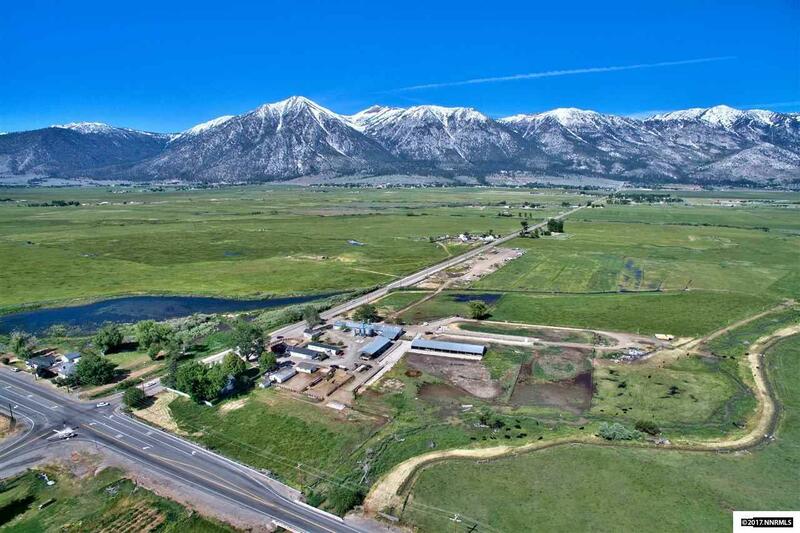 Historic Carson Valley Ranch! It's past life was a dairy so the outbuildings are numerous and the potential is great! It has a beautiful farm house with mature trees and landscaping. Lush irrigated pastures, stream, water rights, and multiple corrals make it an ideal horse property. Square footage includes farm house, bunk house, and manufactured home. Some of the out buildings include: a concrete block barn, a metal barn, a hay barn, and a loafing shed. Take time to imagine the possibilities. © 2019 Northern Nevada Regional MLS,Inc. All rights reserved. The data relating to real estate for sale on this web site comes in part from the Broker Reciprocitysm Program of the Northern Nevada Regional MLS, Inc. Real estate listings held by brokerage firms other than Chase International Carson Valley are marked with the Broker Reciprocitysm logo or the Broker Reciprocitysm thumbnail logo and detailed information about them includes the name of the listing brokers. The broker providing these data believes them to be correct, but advises interested parties to confirm them before relying on them in a purchase decision. Information last updated on 2019-04-20 22:54:31.